Microsoft has barred access to the latest Windows 10 feature upgrade, told those who did run it to keep their hands off their PCs, and warned people who had manually downloaded the build - but not yet installed it - to discard the disk image. The primary problem, Microsoft conceded, was that the upgrade - designated 1809 in the firm's numeric format but also dubbed "October 2018 Update" - tended to erase all the files in the Documents, Pictures, Music and Videos folders. "We have paused the rollout of the Windows 10 October 2018 Update (version 1809) for all users as we investigate isolated reports of users missing some files after updating," the company said in its usual understated fashion, in a support document. "If you have manually checked for updates and believe you have an issue with missing files after an update, please minimise your use of the affected device and contact us directly at +1-800-MICROSOFT." "If you were gullible enough to believe the breathless reviews about a product that's marginally better than what you have, and you trusted Microsoft enough to install it on your machine as quickly as you could, the joke's on you," said Woody Leonard, who runs the AskWoody Windows tip website and writes the "Woody on Windows" column for Computerworld. "With 700 million installs of Windows 10, Microsoft needs to be more careful with their updates because even a tiny percentage of users being affected can still be millions of people," argued How-To Geek after asserting, without more evidence than Microsoft's claims, that the bug, while "very unfortunate" was "unlikely (to have) affected a huge number of users." "It's quite troubling to see Microsoft being so lax about the quality of its generally-available builds," added Neowin, which had earlier pointed out that 1809 had not been shown to the final "Release Preview" ring of Windows Insider testers before its Oct. 2 release. But no one described the bigger picture. Because, for Microsoft, a mistake and resulting upgrade retraction like this is a feature, not a bug, of its Windows 10 release strategy. One of the foundational characteristics of Windows 10 is Microsoft's two-tier classification of customers. The lower tier includes those who operate Windows 10 Home, the upper tier, all others. One could argue that there are, in fact, three kinds of Windows 10 users, because those running Windows 10 Pro occupy the middle ground between Home's folk and the top-of-the-heap Windows 10 Enterprise customers. Windows 10 Home users - predominantly consumers - are forced to accept every feature upgrade and are not meant to delay the installation of those upgrades, or the monthly waves of security and non-security updates (other customer classes can defer upgrades and updates). Windows 10 Home receives each feature upgrade first, with an interval of weeks or months between that debut and when Microsoft announces that the refresh is suitable for business deployment. There's a reason why Microsoft made Home this way. "By putting devices on the Current branch for Business, enterprises will be able to receive feature updates after their quality and application compatibility has been assessed in the consumer market," wrote Jim Alkove in early 2015 (emphasis added). Alkove was then director of program management for Microsoft's enterprise group. "By the time Current branch for Business machines are updated, the changes will have been validated by millions of Insiders, consumers and customers' internal test processes for several months, allowing updates to be deployed with this increased assurance of validation." Although Alkove used a now-defunct label for a Windows 10 deployment channel ("Current branch for Business" morphed into "Semi-annual Channel"), his message to enterprises was clear: Consumers, the first to be handed a feature upgrade, may suffer, as guinea pigs, from flaws that escaped the notice of developers, but businesses would not. Before enterprises received an upgrade, the bugs would be identified and stamped out, and problems solved, because they would be experienced and reported by consumers, then fixed by Microsoft. In that way, consumers running Windows 10 became an essential part of Microsoft's testing regime in a way that people running previous Windows' editions, which at best offered limited-time betas prior to launch, never were. Along with participants in the Insider program - another Windows 10 innovation that delivered a never-ending series of previews to self-selected participants - consumers largely replaced Microsoft's own in-house software testing groups, decimated by layoffs in 2014, before Windows 10 debuted. Less visible, but no less important for Microsoft's purposes, the diagnostic data collected by Windows 10 Home, then transmitted to Microsoft for analysis, is permanently set at the highest, most intrusive level, meaning the most data is harvested and sent. Other SKUs (stock-keeping units) of Windows 10 are set by default to collect less data or can be modified using Group Policies to nullify most of the operating system's telemetric appetite. "We rely on diagnostic data at each stage of the (Windows-as-a-service) process to inform our decisions and prioritise our efforts," Microsoft said in the primary online documentation for the diagnostic effort. The important thing to remember is that, as with forced upgrades, consumers running Windows 10 Home are given no say when it comes to telemetry. By exposing consumers with Windows 10 Home to bugs, even fatal flaws that make Microsoft halt delivery, the company confirmed the second-class status of those customers and at the same time identified those benefiting from the scheme as the most valuable clientele. The trade-off is clear-cut: Any pain inflicted upon consumers by bugs, whether major or minor, is pain avoided by commercial customers, particularly enterprises, assuming Microsoft corrects the flaws before giving businesses an upgrade. That's acceptable only because consumers are less important to Microsoft than its business customers. No surprise, since the company records the vast bulk of its revenue from commercial software and services. New revenue streams are almost exclusively aimed at enterprise, as subscriptions such as Microsoft 365 illustrate. Meanwhile, efforts to monetise Windows 10 on the consumer front, whether from app sales or search-based advertising, have floundered on the failures of the Universal Windows Platform model and the Edge browser. In fact, there are reasons to believe that Microsoft cares about consumers only as much as they contribute to the reliability of Windows for the important enterprise customers. Because Microsoft requires Windows 10 Home users to install and use each feature upgrade, it ensures that a large group "tests" every build. There's no straight-forward way to, say, skip a spring upgrade - 1803, perhaps - between two fall upgrades (1709 and 1809), so there will never be a smaller-than-average pool of testers for any one refresh. And the recent decision to extend support for each fall upgrade to 30 months has only reinforced the consumers-are-good-for-testing motif; the additional support is only for users of Windows 10 Enterprise. Yet Microsoft will continue to roll out two upgrades annually, even though experts expect most enterprises to deploy, at most, only one upgrade a year. Why does Microsoft plan to keep releasing two? One possible explanation: Since each upgrade is cumulative, continuing the twice-a-year cadence means that the spring upgrade's contents will be even more thoroughly vetted by consumers before its code is baked into what becomes the fall upgrade. Rather than two months between consumer and commercial availability, for instance, the spring upgrade's contents would be "tested" for eight months before approved for enterprises. Because Microsoft has said nothing about whether the spring and fall upgrades will differ significantly, it's impossible to know whether the company will purposefully favour one over the other with a greater number of new features, the more momentous features or the features most relevant to enterprises. But if it did package such in the spring upgrade, with the expectation that corporations would only deploy the fall's - again, because of the 30-month support promised for that refresh - testing would have that many more months to root out bugs on the higher-profile enhancements or additions. Microsoft will fix the file-deletion issue in Windows 10 1809 and restore the feature upgrade's distribution to what it calls the "Semi-annual Channel (targeted)" release ring. In plainer terms, that means Microsoft will restart delivery of the upgrade to Windows 10 Home and its - willing or not - consumer testers. And except for those business machines whose owners decided to jump into 1809 to get an early start on testing, the blunder will not impact Microsoft's important customers. Some consumers may have permanently lost files - it's unclear at this point whether there is a reliable way to restore what was deleted by 1809 - but it's very unlikely the problem will persist long enough to affect enterprises running Windows 10 Enterprise when they begin 1809 deployment in a month or two or three. Or 10. That's how Windows 10's release model is supposed to work. 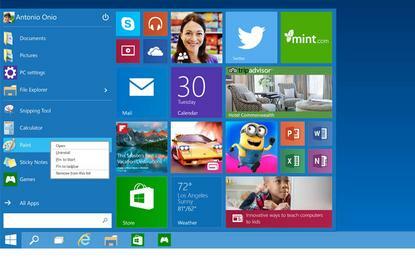 But Microsoft cannot afford to squander consumer confidence in Windows 10. They play too important a role in 10's quality assurance (QA). From the company's perspective, the worst case would be for the bulk of consumers to take the advice of authorities like Leonard. "Upgrading to a new version of Windows 10 as soon as it's out leads to madness," Leonard wrote in an 3 October column where he showed how users could put off 1809's installation. Fortunately for Microsoft, advice like Leonard's reaches relatively few consumers. Enterprises should thank their lucky stars, too, for the assistance given by consumer lab rats. Without them, it could be corporate PCs going belly up, not Grandma's.